Prepare your wallet as the Steam Winter Sale for 2016 is now live on steam, lot’s of triple A games are on sale up to 80% and it will end on Jan 3, 2017, so you still have lots of time to spot some good game and good price. Here are some of the notable game in first wave we’ve seen so far the Sid Meier’s Civilization Franchise is 10% off up to 90%, Assetto Corsa is 40% off, Doom Franchise is 40% off up to 67%, Cities Skylines is 75% off, Tom Clancy’s The Division is 50% off, Saints Row Gat Out of Hell is 75% off, The Witcher 3 Wild Hunt is 40% off, Metal Gear Solid V – The Phantom Pain is 35% off, Rise of the Tomb Raider is 50% off, Just Cause 3 XL Edition is 75% off and Grand Theft Auto V is 50% off. Also here are some of the old good games that you can consider buying the Age of Empire 2 HD Edition is 75% off, Counter-Strike Condition Zero is 75% off, Call of Duty Modern Warfare 2 is 50% off and Left 4 Dead 2 is 80% off. And of course there’s lots more in sale, you can browse around at https://store.steampowered.com and pick the game you’d like. For your convenience you can add your PayPal account to your steam for easy checkout. If you find this article very helpful, please share or like our Facebook Page (https://facebook.com/GamingPH/). Prepare your wallet as the Steam Winter Sale for 2016 is now live on steam, lot's of triple A games are on sale up to 80% and it will end on Jan 3, 2017, so you still have lots of time to spot some good game and good price. Here are some of the notable game in first wave we've seen so far the Sid Meier's Civilization Franchise is 10% off up to 90%, Assetto Corsa is 40% off, Doom Franchise is 40% off up to 67%, Cities Skylines is 75% off, Tom Clancy's The Division is 50% off, Saints Row Gat Out of Hell is 75% off, The Witcher 3 Wild Hunt is 40% off, Metal Gear Solid V - The Phantom Pain is 35% off, Rise of the Tomb Raider is 50% off, Just Cause 3 XL Edition is 75% off and Grand Theft Auto V is 50% off. Also here are some of the old good games that you can consider buying the Age of Empire 2 HD Edition is 75% off, Counter-Strike Condition Zero is 75% off, Call of Duty Modern Warfare 2 is 50% off and Left 4 Dead 2 is 80% off. And of course there's lots more in sale, you can browse around at https://store.steampowered.com and pick the game you'd like. For your convenience you can add your PayPal account to your steam for easy checkout. 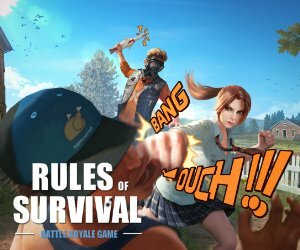 If you find this article very helpful, please share or like our Facebook Page (https://facebook.com/GamingPH/).